The Industrial Revolution introduced many things that brought people and places together like never before. The increased practice of photography allowed people to see and gain knowledge of far away and exotic places that they normally would have no idea existed. This was true of not only places across oceans but also on the American frontier. With Americans moving further and further west toward the Pacific Ocean, knowledge and intrigue about the frontier became especially critical. 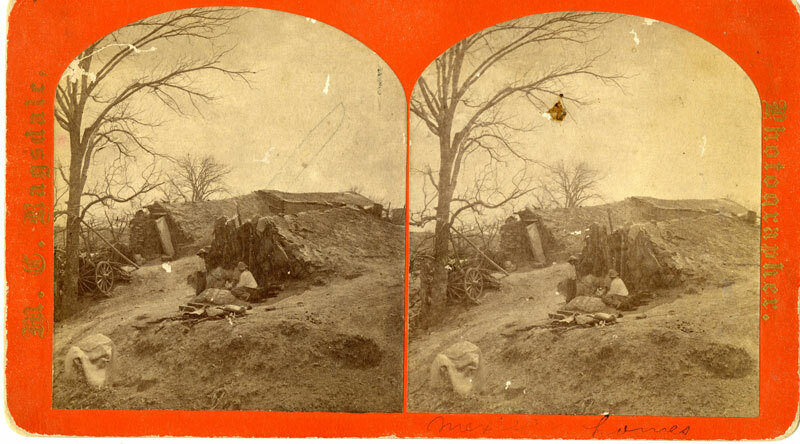 As was to be expected, photography made its way out to the Texas frontier as early as 1843. Early Texas photographers used very primitive photography methods that required a large amount of equipment, dangerous chemicals, and complicated methods in order to capture their subjects. This fact, however, did not deter photographers from packing it all up and heading west to capture the beauty of Texas. Professional photography in Texas soon became a widespread profession. Active photographers increased from 200 during the 1860s to over 1,300 in 1900. One of the photographers that worked extensively in the western Hill Country of Texas, particularly around Fort McKavett, was McArthur C. Ragsdale. Born in South Carolina in 1849, Ragsdale’s family came to Texas and settled in Bell County after the Civil War. Ragsdale took an early interest in photography and planned to use his second-hand camera to pay for his education. As it turned out, financial struggles resulted in Ragsdale dropping out of school and he began to make his way as a travelling photographer. He initially set up a home shop in Belton and was making regular trips to Fort McKavett, Brownwood, Fredericksburg, and Mason. Between the years of 1872 and 1882, Ragsdale lived near Fort McKavett many times during his travelling circuit. Although he was most known for his photography of families, buildings, and Texas Ranger Camps, Ragsdale also worked as a photographer for the government taking photos of the buildings at Fort McKavett. These photos are either mostly lost or in private collections, but a few have recently been given to the staff at Fort McKavett. In 1876, Ragsdale drew a map sketch of the fort that is the authoritative map of Fort McKavett at its high point and is the basis for the diorama of the fort in the Visitor Center today. The map even shows the presence of a studio building used by Ragsdale near the shops of the fort (near where Hirschfeld Chapel presently stands on the east side of FM 864). 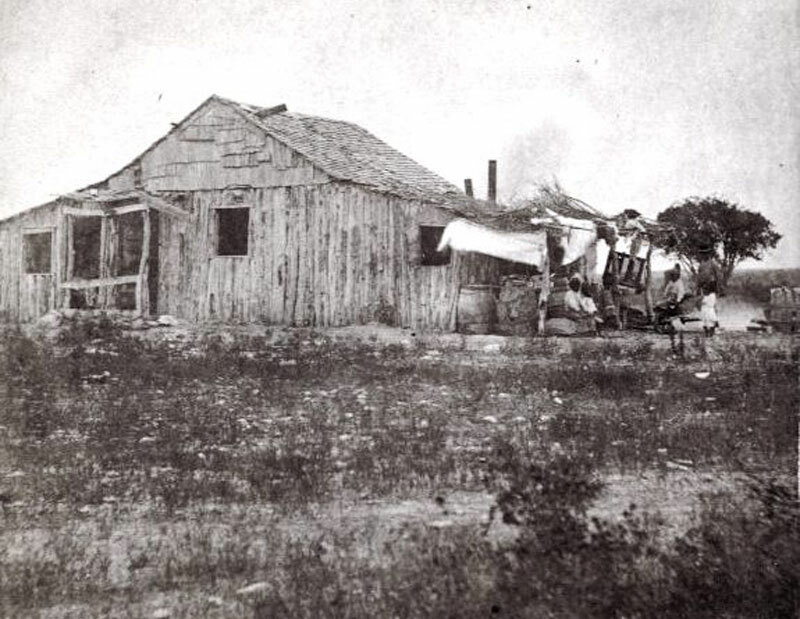 In 1882, Ragsdale permanently settled in San Angelo and compiled a series of landscape photographs in “Views of Concho Country.” This series of photographs makes up the majority of the surviving work of Ragsdale (most of his earlier work has been lost or destroyed). He also famously chronicled the disastrous flood of Ben Ficklin, a small town just south of San Angelo, in 1882. Ragsdale retired in 1918, having permanently made his mark by capturing a period of Texas that still informs us today. Jones III, Lawrence T. Lens on the Texas Frontier. 1st ed. College Station, Texas: Texas A&M University Press, 2014. 9. 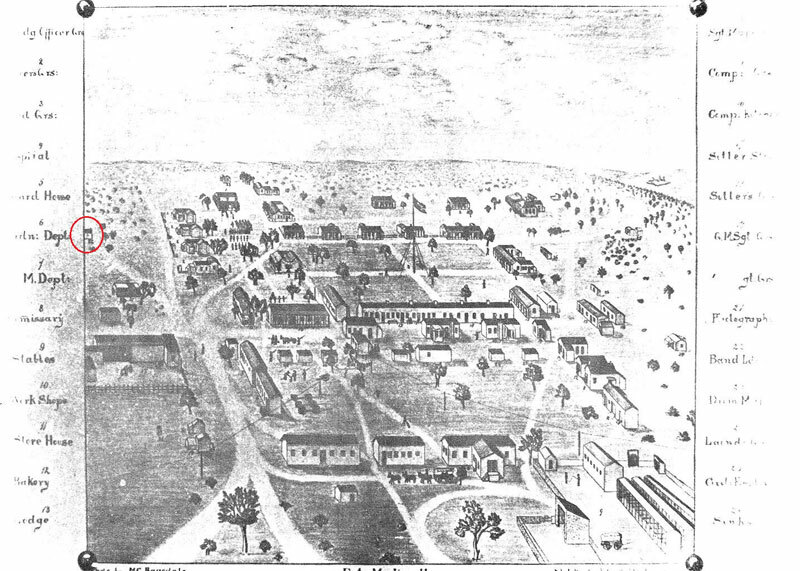 Kendall Curlee, "RAGSDALE, MCARTHUR CULLEN," Handbook of Texas Online(http://www.tshaonline.org/handbook/online/articles/fra09), accessed May 12, 2015. Uploaded on June 15, 2010. Published by the Texas State Historical Association. 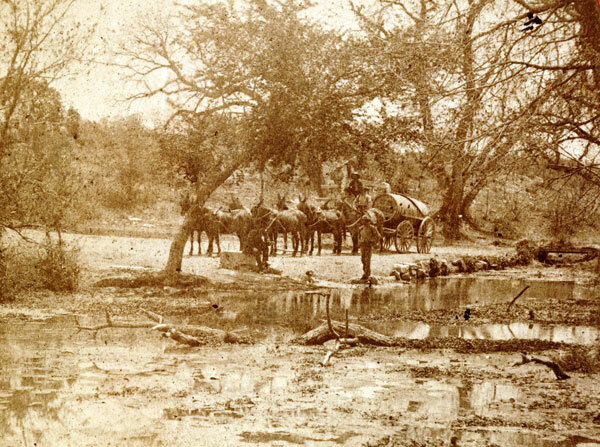 Ragsdale photo showing soldiers of the 10th Infantry Regiment hauling water to Fort McKavett from Government Springs in a water wagon circa 1875. This photo was also an ambrotype and made into a CDV. Photo courtesy of the West Texas Collection, Angelo State University.